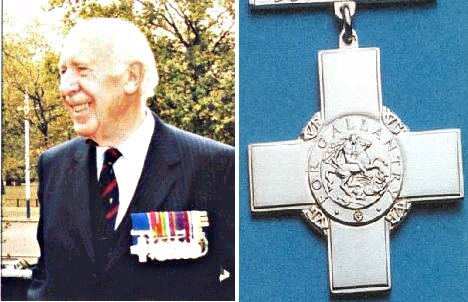 Get to know Stuart Archer who, at 100, is the longest holder of the George Cross. The acting lieutenant was given the decoration for his courageous work as a bomb disposal expert during WWII’s Blitz. Stuart Archer was quite a courageous officer in his heydays as he had to deal with a great deal of unexploded bombs throughout the war. As a matter of fact, the George Cross holder had to do several bombs almost every day and that included a number fitted with a very dangerous new form of delayed-action fuse. But Archie, as he was known among his comrades, did not just survive World War 2 but went on to become the longest George Cross holder. He is also the first recipient of one of Britain’s two most respected awards for gallantry [the other being the Victoria Cross] to reach his 100th birthday. Surprisingly, his 100th anniversary took place almost seventy-five years after his George Cross worthy moment. Stuart Archer, born Bertram Stuart Trevelyan Archer, came out on February 1915 in Hampstead, North of London. He got qualified as an associate of the Royal Institute of British Architects at the age of twenty-one. Archer forged a career in architecture all his working days except for the ones he spent with the Army. Throughout his involvement in WWII, instead of building, he was responsible for dismantling enemy bombs. Only a year after getting married, in January of 1940, Stuart was commissioned as an officer into the Corps of Royal Engineers. He was assigned with the 553 Field Company. He immediately became a veteran expert at bomb disposal and by the end of August that same year, he had handled some two hundred bombs. This number included dealing with the first enemy bomb which was fitted with a new kind of delayed-action fuse. Bombs with this kind of fuse meant that bomb disposal experts had eighty hours at most from the time it was dropped to tackle and defuse it except in the case of other unusual circumstances. And the events that transpired that fateful day – September 2, 1940 – were most certainly that. 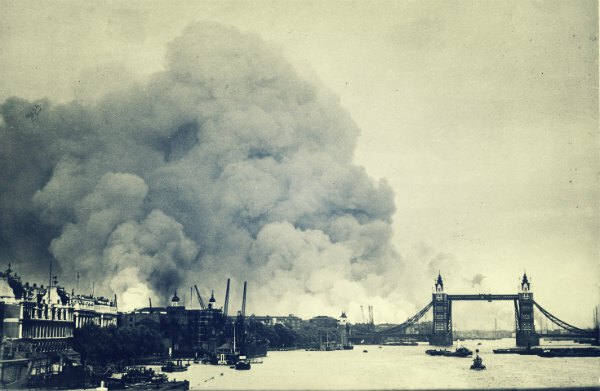 After the Dunkirk evacuations, the Luftwaffe bombing attacks against Britain Fighter Command bases began. But it was on August 29 when the enemy started a sustained bombing campaign resulting in 2,500 unexploded bombs waiting to be dealt with in just a 48-hour time period. Throughout this heavy bombing campaign period, Archer, a lieutenant, was based in Cardiff along with a sergeant from the Royal Engineers and twelve Sappers. September 2 at around 9 AM, Lieutenant Archer was informed about a large group of unexploded bombs at the Anglo-Iranian Oil Company’s refinery at Llandarcy, near Swansea. The explosives were hampering firefighters’ attempts to control a major blaze within the area. But then, when he arrived at the refinery at 10 AM, he found out that the situation was unlike what he encountered before — it was more hazardous than expected. An officer from the local bomb disposal section led him to one storage area where there were four unexploded bombs including one which was located directly under an oil tank. To top that, some of the oil tanks were already fiercely burning. Archer decided to tackle the bomb underneath the oil tank first after deciding that it was the best way to stop further fires from breaking out. The tank where the bomb was lodged was still not alight, but, two others – only fifty and eighty yards away from the tank – were already on fire. The flames these two tanks were emitting were very intense to the point of that steel was already melting. 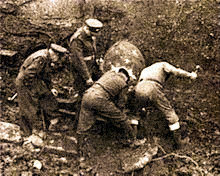 To add to the difficulties Archer and his team had to tackle, the bomb was lodged diagonally just at the corner of the concrete mount which was at the base of the tank. The bomb’s position meant that Archer had to deal with it by hanging upside down while reaching to the explosive device at full stretch most of the time. With the heat burning on to them, Archer and his team decided to work in brief, sharp stints. On his part, Archie figured at that working in 15-minute stints was the most ideal since it reduced the chances that one of his men might make a mistake that might be fatal for all of them. Two hours of tense, heat-filled and exhausting work, one of the other three bombs – the one nearest to them – exploded. The group threw themselves on the floor so as not to be hit by debris, boiling oil or the flames. They were able to get away unscathed. Bomb Disposal Units during WWII: George Cross Holder Lieutenant Archer Worked in one of these units during the Blitz. By 2 PM, another of the two remaining bombs exploded. Again, the team were able to get away without any injuries. Meanwhile, the bomb Archer was working on had two detonating fuses— the first one being the clockwork delayed-action device and the second one was a mechanism meant as a booby trap for bomb disposal experts who sought to make the explosive safe. Eventually, Archer managed to work through the bomb and by 2:50 PM, his and his team’s ordeal was over. They worked on that bomb alone for over four hours and under intense heat. Lieutenant Archer became the first bomb disposal expert to remove the fuse from an anti-withdrawal booby trap and lived on to tell the tale. He was awarded the George Cross on September 30, 1941. Additionally, he rose to the rank of lieutenant colonel. George Cross holder Stuart Archer[sitted row farthest left] among other living Victoria Cross and George Cross recipients. George Cross holder Stuart Archer may look frail because of his old age [he celebrated his centenary birthday last February 3] but he surely deserves his place among the bravest of the brave, the men and women who we now call the Greatest Generation.